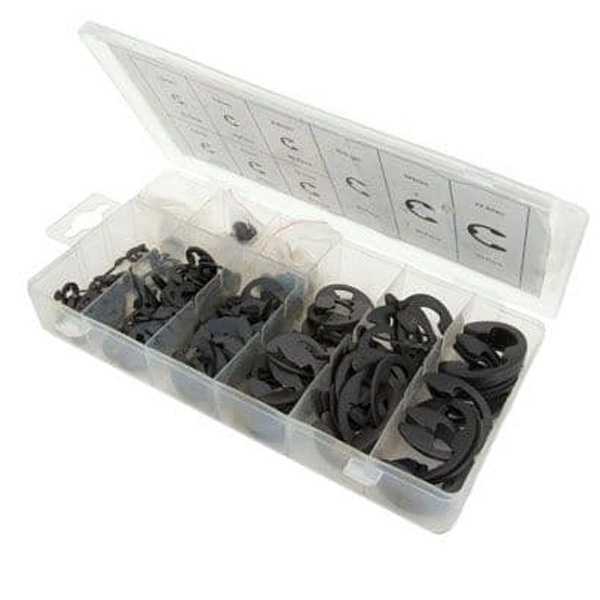 A comprehensive selection box of E Clips from Toolzone Tools. The box contains 300 E Clips. 9 popular metric sizes: 30pce 1.6mm, 30pce 3.2mm, 40pce 4.8mm, 50pce 6.4mm, 50pce 9.5mm, 40pce 12.7mm, 20pce 15.9mm, 20pce 19.1mm, 20pce 22.2mm.